Pre-Construction. To be built. Location, Location, Location!!! You will not want to miss the opportunity to explore this wonderful new community. There are 55+ communities and then there is Serenity Reserve . The developer has paid attention to the smallest details offering the buyer an unsurpassed experience. Serenity Reserve offers a spacious & luxurious club house featuring a chef ready kitchen where 250-300 guests can be served. No time to cook? Try home delivery! Also, a yoga/meditation room, fitness/exercise rm, activity rm, spacious pool with a separate platform for yoga & meditation that overlooks a tranquil pond. You will appreciate the oversize paver deck with outdoor tables & chairs. A chef on call and daily activities are also available. This outstanding community is conveniently located within minutes to major roads, Lake Nona, the new Medical City, OIA, all major area attractions, shopping & dining. There are 4 models from 2, 000 sq ft to 4, 500 sq ft, prices starting at $373, 950 including the lot. This artist rendering features the Harmony Model: 2 master suites, a 3rd & 4th bedrm & 4.5 baths. Every bedroom has a full bath & a walk-in closet. Granite counters in kitchen and baths, stainless steel appliances, 43 cabinets, 12 ft. ceilings and 8 ft. doors; all add to the beauty of this home. 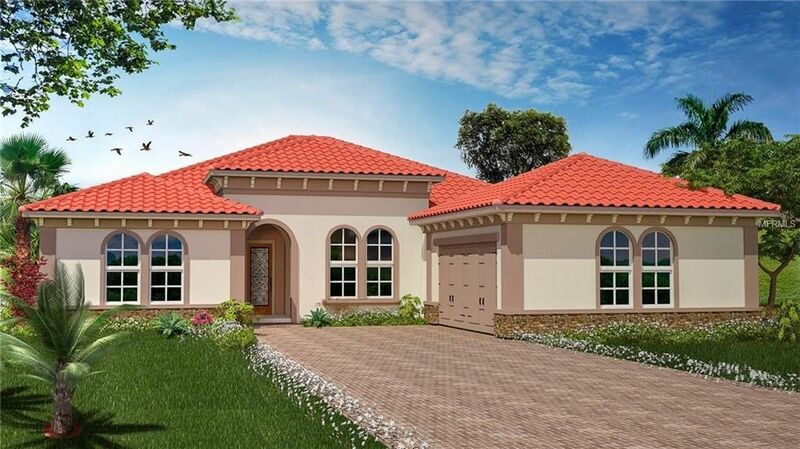 The exterior features tile roof & paver brick driveway. You will appreciate the difference in this World Class Community. Come see it today!! Downsize your responsibility...not your lifestyle! 35 homes are sold & pending at this time.